Research shows that due the proliferation of media and the shift away from one-way communication- from dental practice to consumers- towards a two-way conversation, dental practices need a more systematic way to satisfy patient demands and manage word-of-mouth. If you have become comfortable with just one social media platform and have neglected others such as Instagram or Twitter, you are definitely missing out on a lot of benefits that would otherwise translate into higher profits and stronger local branding. WHAT ARE THE BENEFITS OF KEEPING MULTIPLE SOCIAL MEDIA CHANNELS ACTIVE? Having social media presence enables you to be wherever your customers are because it is mobile. 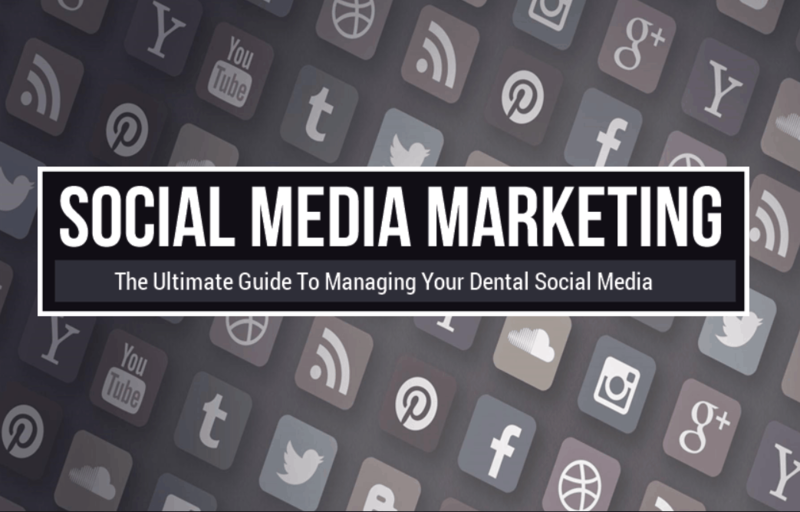 Hence, having multiple social media channels that are relevant to the dental practice means that you expand your range and target a wider scope of your audience. This translates to reaching, even more, potential new patients, using multiple social media platforms.Unless you know without a doubt that your audience uses only one social media platform, you can’t depend on reaching your entire target demographic by joining just one networking site. While Twitter and Facebook are the most popular choices, some people prefer Pinterest, LinkedIn, YouTube or other more niche social media websites. However, instead of joining every platform possible, think about what channels your target audience will use the most. Increased search engine rankings. The importance of content marketing can never be overstressed. The more quality content you have on the Internet, the better your website is going to rank. Social media is part of the content that will boost your rankings. Having your dental practices name mentioned on multiple websites enhances your digital footprint, thereby increasing your organic ranking on search engines. Greater Customer Service Experience. Listening is the first step in your social media marketing strategy. By listening to your customers, you can learn if you are meeting customers’ expectations. Do you offer a great service? What improvements would your patients like to see? The last thing any dental practice wants is a bad reputation, especially when the word can easily spread like a wildfire on the Internet.Multiple social media websites will give you the opportunity to track what is being said about you such as Reviews Booster. Customers will also have the opportunity to send you messages directly. Luckily, you can put out flames of ‘negative mentions’ by being proactive and responding to negative comments about your about your dental practice straightaway. Benchmark yourself against your competitors: The good thing about social media is that you can easily compare yourself with your competitors. You can see how they interact with their patients and then see how you fit in. If you haven’t joined a social networking site, there’s a good chance your competition is already there. To prevent your competition from reaping all the benefits and potential customers that you could be getting, you should also be a part of that networking community. It’s pretty easy finding what social media accounts the competition is using since most practices list their accounts on their websites. Your competitors will outperform you in providing excellent customer service, strong branding and will completely overshadow your practice, in terms of gaining more popularity than your dental practice. Not keeping your social media platforms active mean that their contents are not kept up to date or optimised. Subsequently, you will lose rankings on search engines, and in turn, it will have a negative impact on your credibility and reputation. After having lost credibility, reputation and ranking on search engines, you will ultimately lose potential and existing customers who might be lured by the visibility of your competitors and their excellent customer service online. Losing customers and credibility means reduced profits and potential growth. It is understandable that dentists or dental practices may feel overwhelmed with having to manage multiple channels and keeping them up to date, especially if they don’t know how or they are pressed for time. It is easy to lose track of what needs to be done amidst a busy schedule. In addition to not having enough time, there might not be enough money to spend on more work. For instance, having a limited budget means not being able to expand resources like hiring more people to manage the accounts. Also, it might be difficult to manage branding using multiple platforms as it will be daunting to keep branding consistent on all of the channels. WHAT IS HOOTSUITE AND HOW CAN IT HELP YOUR DENTAL PRACTICE? Luckily, there are social media management tools that help to prevent the difficulties in managing multiple social media platforms by helping you to monitor all of your social networks from one place. This is where the HootSuite dashboard comes to play. Now more than ever, a dental practices social media presence can easily turn into a full-time job- possibly even more than a full-time job. Lots of companies use their social profiles to offer special deals to fans, provide customer support and give people a reason to come back. So when it comes to managing several profiles at once, HootSuite can be a great help. HootSuite is a social media management tool that allows users to schedule and post updates to any page or profile on Facebook, Twitter, LinkedIn, Google+, Instagram, YouTube, WordPress, Mail Chimp and other platforms from one place- the HootSuite dashboard. Users can implement and analyse marketing campaigns across all social profiles without needing to sign in to each social network individually. For premium accounts, users get advanced features for social analytics, audience management, team collaboration, and security. You can do a lot with HootSuite, but here’s a breakdown of some of the most useful features that come with signing up for a free account. It is important to note that there are several other prominent features that are available in addition to the below with a premium account, offering access to even more features and functionality than those with free accounts. Direct posting to social profiles: The most prominent feature is the ability to post text, links, photos, videos and other media directly to your social profiles through the HootSuite dashboard. Once you get yourself set up, the HootSuite dashboard becomes your one stop shop for your social media management. Not only can you cross-network post but you can monitor all of your messaging in one place. Scheduled posting: No time to post throughout the day? A best practice for any Social Media Manager is to create a content calendar. Schedule your posts so that they are automatically posted at specific times rather than doing them all manually. You can link this schedule with your overall marketing communications plan (blogs, white papers, press releases, products updates and so on).For this to work seamlessly, it is important that you plan in advance in a formal schedule of what content you will post to your social media accounts. You can take advantage of the calendar scheduler, where you can pick and choose the date and time of when you want your content published. Alternatively, you can leave the scheduling up to HootSuite’s Auto Scheduler. Bulk upload: This feature will save you a lifetime of sitting at your desk and scheduling posts individually. The Bulk Composer (click to download Excel) makes it easy to schedule hundreds of posts- up to 350 messages at a time!You can even use the Bulk Composer to reach audiences around the world, using multiple time zones. The Bulk Composer also allows you to review and edit them before the final send-off. This is particularly useful to fix errors or make last minute changes. Targeted messaging: You can send private messages to targeted audience groups on selected social profiles straight through the HootSuite dashboard. Organised assignments: If you work with a team, you can create an “organisation” to improve communication and collaboration across everyone’s HootSuite account. With all these benefits attached to HootSuite, many assume its set-up will be hectic and will have a more traditional method of access. Whereas HootSuite uses an alternative way of accessing Software-as-a-Service (SaaS). SaaS normally refers to a subscription-based model where the software is hosted in the cloud and assessed via the Internet, as opposed to a more traditional method of access where software is purchased outright and loaded outright unto a device such as your computer. No hardware costs: This is because the processing power is supplied by the cloud provider. No initial set-up costs: Applications such as HootSuite are ready to use once the user subscribes. Pay for what you use: This is particularly beneficial when you only what to use it for a short period. Updates are automatic: Updates are often free of charge and deployed automatically by the software provider. Cross-device compatibility: Applications can be accessed via any Internet-enabled devices, such as desktops, smartphones, and tablets. Access from any location: Users are not restricted to one location and can access applications from any Internet-enabled device. Everyone who needs access to a particular piece of software can be set up as a user. Step 2: Add social networks Connect your social profiles to publish and schedule content, and monitor engagement, all from your HootSuite dashboard. You can manage up to three social networks with HootSuite Free. Click Add Social Network, select a social network from the list, click Connect and authorise your accounts to connect to the dashboard. Step 3: Set-up tabs and streams Now that you have added social networks to your dashboards, set-up streams for each one to monitor conversations and engage with customers. Each social network offers unique stream types. Search streams are especially valuable for finding social activity around specific users, locations, or keywords. Step 4: Publish messages Engage your audience and grow your following by regularly publishing messages. Save time by scheduling a single message to multiple social networks at once. Select the profiles that will post the message from the Social Profile (top-left). Click Compose Message, enter your message in the compose box, and then click Send Now. Step 5: Install apps The HootSuite App Directory is a free library of free and premium (paid) third-party apps developed to extend the functionality of the HootSuite dashboard. Step 6: Download Hootlet This free browser extension for Chrome lets you quickly share content to your social networks from anywhere on the web. Step 8 (Team Plan): Collaborate with team members Invite team members, share social network access with them, and start collaborating. Bonus: Check out free online courses to learn the best practices for setting up and using your Hootsuite dashboard at Hootsuite Academy.